NEW DELHI (Reuters) - India said recently it was working on a relief package for its airline industry, which is forecast to lose up to $1.9 billion this financial year due to rising costs and low fares. 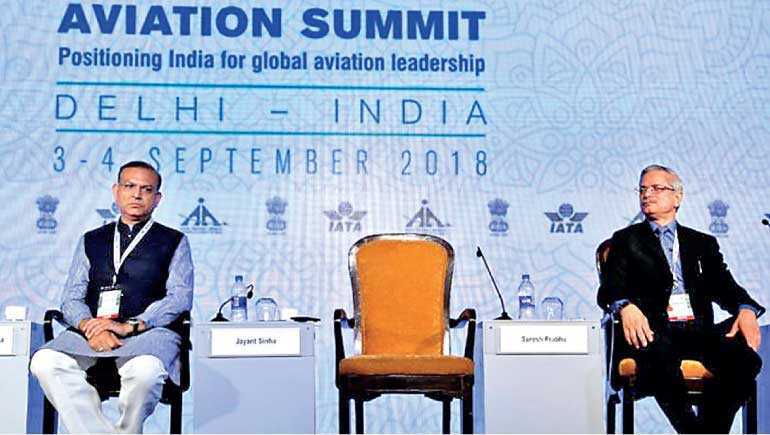 As well as high fuel taxes, Indian airlines are hit by a goods and services tax on maintenance operations that makes domestic work uncompetitive, consulting firm CAPA India said in a report. It forecast an industry loss of up to $1.9 billion in the financial year ending 31 March, up from a January estimate of a loss of $430 million to $460 million, the difference fuelled largely by a weakening rupee and a rise in oil prices. Choubey said the government would offer Air India state-guaranteed borrowing worth 21 billion rupees ($294 million), along with an equity infusion of 8.6 billion rupees.“If we do not support Air India, there may be a value erosion,” NewsRise quoted Choubey as saying. In June, the government said it had been unable to attract bidders for a 76% stake in the airline. Indian airlines, which have ordered hundreds of new Airbus SE and Boeing Co jets, have struggled to stay profitable despite filling nearly 90% of seats as domestic passenger numbers have more than doubled over the past four years. Jet Airways last month reported a quarterly loss of 13.23 billion rupees, saying it aimed to cut costs, inject capital and monetise its frequent flyer program. In July, budget carrier IndiGo, the country’s largest airline, reported its lowest quarterly profit in three years, with earnings down 97%.